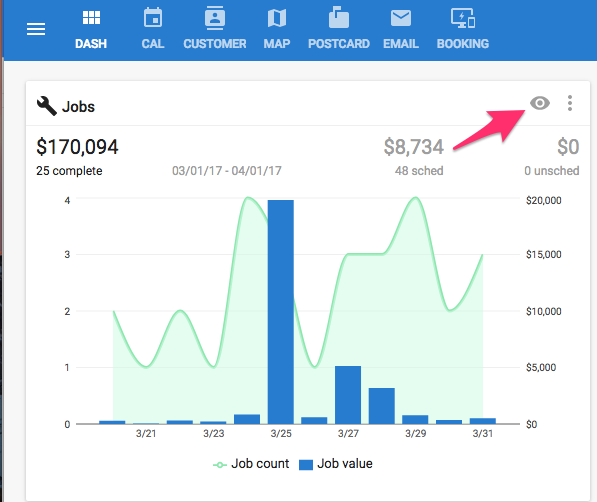 To create a custom report from your dashboard, click on the "eye" icon on the jobs report. You will then be directed to your full reports page where you can start customizing your own by filtering and sorting through your job history. Choose the table columns that you would like to see on the report screen below. 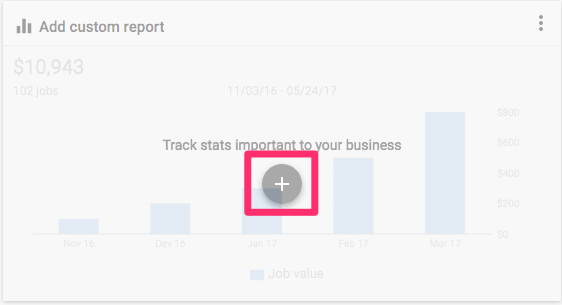 Once you have sorted and filtered your your report, click the "Excel" icon on the blue bar at the top of the screen to have the report emailed to you. PRO TIP: If you are on the Advanced Plan you can name and save additional custom reports to your dashboard. Once you sort and filter your information the way you like, name your report in the top-left entry bar and then click the green 'Save' button on the top-right of the report screen. You will now be able to access the report on your main dashboard.